1 Off Tank - Build up Threat from the Adds. Whirlwind AOE - Main priest heal tanks; 2nd priest Sanctuary or Sorceress Deluge; Sorceress LOR. Single Wave - Avoid standing behind Main Tank as it will hit you. PRiest prepare to heal those who got hit from the damage. 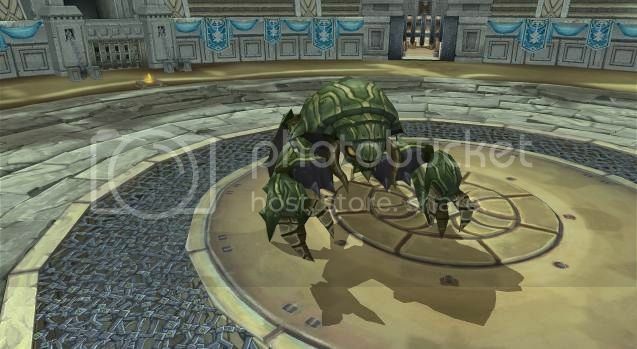 Summon bugs (Adds) - Off Tank lure them and DPS kill them. Clamp Attack - Stun hit on single target. Priest heals the targeted one. Machine Gun - Multiple hits on single target (Main tank). Priest heals the targeted one. Summon Vador II (Adds) - DPS them. Mana Suction - on Main Tank, Pot yourself. Hammer AOE - Hit and stun everyone on boss sign. Main priest heal the melee group, 2nd Priest Sanctuary or Sorceress Deluge. Sorceress must LOR. Summon Bomber (Adds) - Off Tank lure them away and DPS kill them. 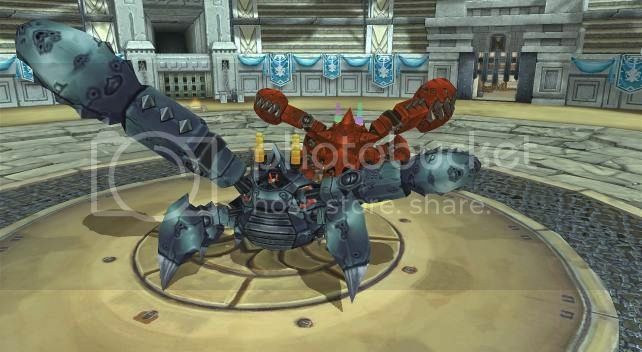 Summon Repairer (Adds) - Off Tank lure them away and DPS kill them. Twins Hammer AOE - Hammer AOE will cast twice when the boss below 15%. Pot yourself. Main priest heal the melee group, 2nd Priest Sanctuary or Sorceress Deluge. Sorceress must LOR. Red Electric Field - DOT damage. Stay away from it. Driller EX AOE - Main Priest heals Main Tank. 2nd Priest Sanctuary or Sorceress Deluge. Sorceress LOR. Mid-Range Circle Ring - Melee group Priest heal the targeted one. 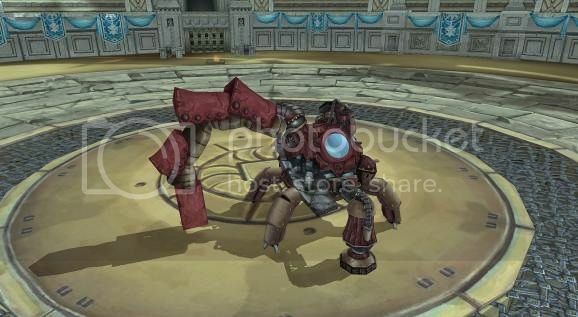 Summon Golem I (Adds) - Off Tank lure them and DPS kill them. 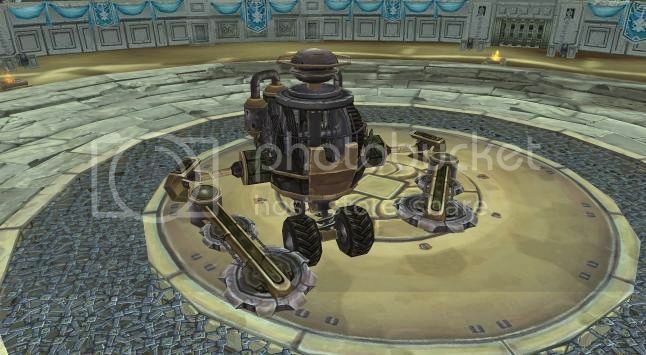 Summon Golem II (Adds) - Off Tank lure them and DPS kill them. 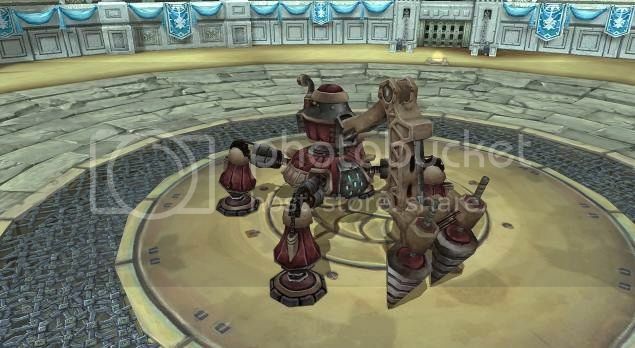 Summon Driller (Adds) - Off Tank lure them and DPS kill them. Summon Rat Repairer - Kill it. Earthquake - DOT damage. Stay away from it. Lazer Beam - Random single target. Priest heal the targeted one. 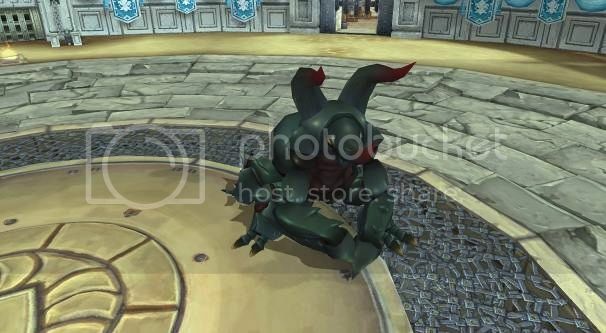 Summon Bug II (Adds) - Bugs have debuff. Off Tank lure and DPS kill them. Do not lure to Healers. Freeze Screen Attack AOE - Pot yourself. Main Priest heal tanks. 2nd Priest Sanctuary or Sorceress Deluge. Sorceress LOR. Electric field - DOT damage. Stay away from it. Off Tank: Do not lure the bugs to healers. There are Knight, Priest, Ranger, Assassin and Wizard for this round. Kill them one by one with Glitch method. Since this is normal, I would suggest you kill Wizard > Ranger > Assassin > Knight > Priest. Well, have fun on killing them as it really takes time to kill all. All members go to one corner of the room. Off Tank lure the bosses. Priest (on top of the ceiling) Heals when the bosses reached the room. Main Tank lure one boss while Priest continues to heal. Reset 4 bosses. Wait command from Main Tank to DPS the boss. Foh! This is a long guide. So if you find the normal one is hard, then take care have fun good bye in the Hard Mode. Raid is all about planning and listening. So cooperation between the raid members is very important because, one slight mistake you made, might cause death to others. Ah chey, sounded like so serious. Anyway, always have fun in the game. Stress not, because you won't do any better from it. The guide above are based on HERE. I amended a little based on my own experience.